DJ Shadow "Halfway Done" New Album, Promises a "Return to Form"
DJ Shadow has revealed that he's far along on his fourth full-length. The album would follow-up 2006's all-over-the-map effort, The Outsider, and speaking with interviewer Zane Lowe, Shadow said that the new album is nearly finished. "I'm about halfway done and I will be sharing music in the next few months," he said. "With this record, I really want to make music I'm at peace with. If I say it's a slight return, I only mean in the sense that I had a thread going with some of the records I was doing, so let's get back to that and see where that thread would be... I do consider it a return to form, but I hope there is nothing on it that sounds like anything I've done before; it's just an aesthetic that returns." If said "return" means the album is going to sound anything like Endtroducing, we're completely on your side, Shadow. It's been 14 years and two dodgy albums since then, so no one will complain if you return to your trip-hop roots. Especially not the Endtroducing tribute band. 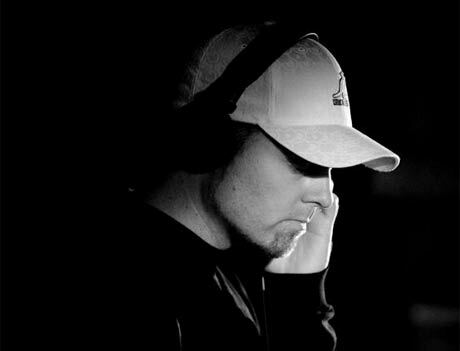 DJ Shadow's conversation with Lowe can be streamed here.